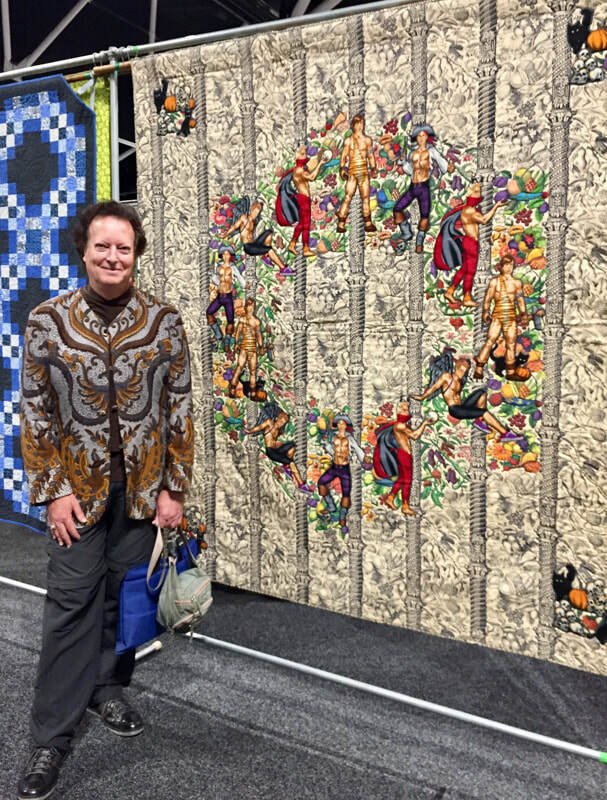 Judge’s Choice Award for Appliqué Quilt: Men in Broderie Perse Technique. 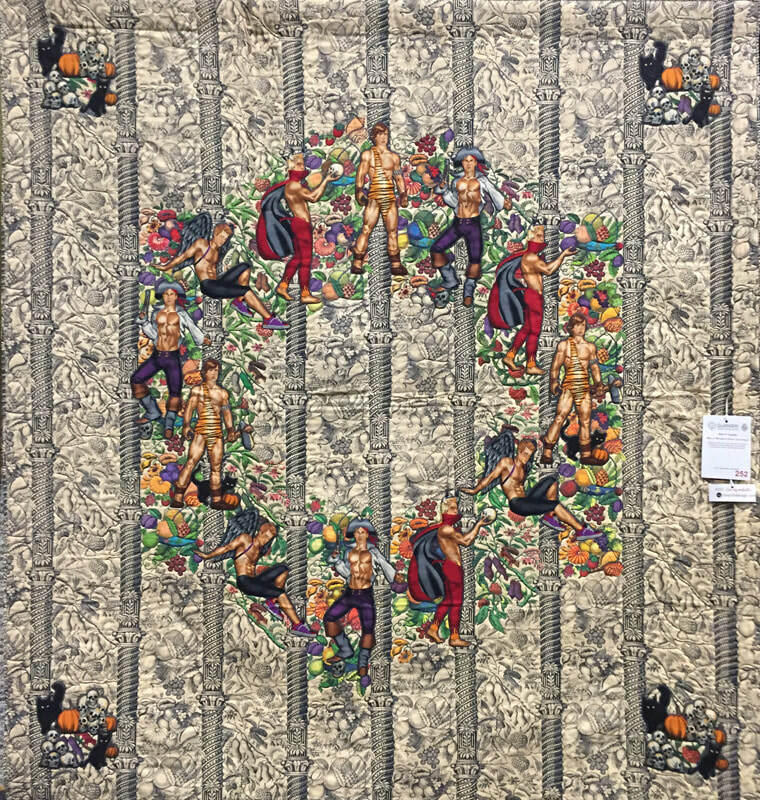 Broderie perse style quilt with hand coloured background using Halloween Hunks fabric by Alexander Henry as the feature fabric. 198 x 188 cm.